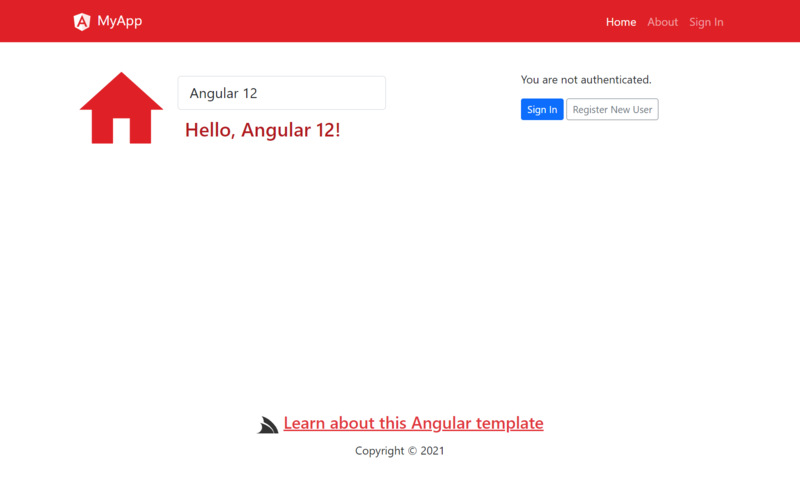 Want to be notified of new releases in NetCoreTemplates/angular-spa? .NET Core 2.1 Angular 7 project generated with Angular CLI. This initially generates a full development build of your Web App then stays running in the background to process files as they’re changed. This enables the normal dev workflow of running your ASP.NET Web App, saving changes locally which are then reloaded using ServiceStack’s built-in hot reloading. Alternatively hitting F5 will refresh the page and view the latest changes. Each change updates the output dev resources so even if you stop the dev task your Web App remains in a working state that’s viewable when running the ASP.NET Web App. This launches the Webpack dev server listening at http://localhost:4200/ and configured to proxy all non-Webpack HTTP requests to the ASP.NET Web App where it handles all Server API requests. The benefit of viewing your App through the Webpack dev server is its built-in Live Reload feature where it will automatically reload the page as resources are updated. This will let you run the production build of your App that's hosted by your .NET App. Which will create a production build of your App which then runs dotnet publish -c Release to Publish a Release build of your App in the /bin/netcoreapp2.1/publish folder which can then copied to remote server or an included in a Docker container to deploy your App.